Avian is a gated townhome community location in the center of Grayhawk. Enter through the Raptor Retreat Guard Gate and a secondary community gate. There are 6 floorplans ranging from approximately 1,958 to 2,455 square feet. Close to shopping and easy access to the 101 freeway. 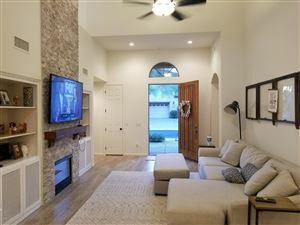 Throughout the community, residents enjoy ramadas / picnic areas, barbecue pavilions, basketball courts, pocket parks, green belts, over 30 miles of hiking and biking trails that offer a great opportunity to enjoy the outdoors. Abundant community features allow residents to enjoy a wide range of activities, and the carefully planned events by Grayhawk’s full-time resident Lifestyle Director ensure that everyone gets the most out of being a Grayhawk homeowner. Events and programs cater to all ages and interest. See all Avian - Grayhawk.